When building an application, We might face an requirement that some tasks needs to be executed along with the application when the application Starts. Springboot has options available to make this happen. What does these annotations do? As the name suggests, when we use this annotation over a method, when the springboot application starts these methods will get executed along with the springboot startup. 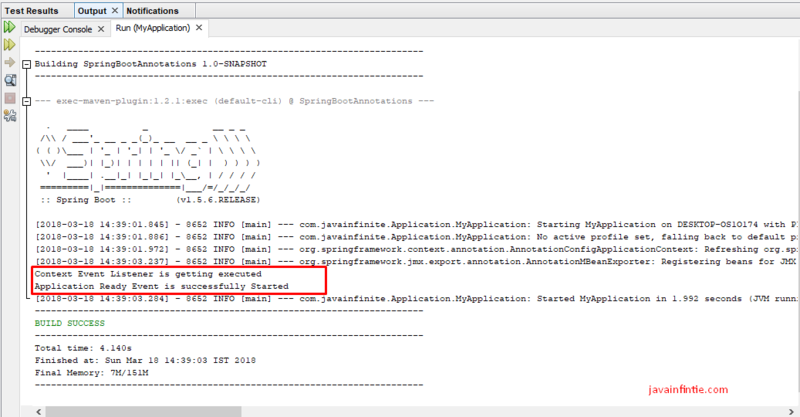 When the application is fails on startup, ApplicationFailedEvent will get triggered.